As an avid cruise traveler, I am frequently asked by friends to identify my favorite port of call. While no one port stands alone in this regard, the port of Halifax, Nova Scotia is firmly among those I would consider for this honor. The people are friendly, and the area offers a lot of history, beautiful natural scenery, and a variety of architectural styles to enjoy. We have been fortunate to visit Halifax four times, so far. All have been via cruise ship: Rhapsody of the Seas (1999), Carnival Destiny (2000), Maasdam (2004), and Carnival Victory (2006). On each visit, we did something a little different, and there is still yet so much more to explore. Although Halifax is easily explored on one’s own, there are plenty of shore excursions for those who prefer this means of touring, or who wish to venture further away from the city. 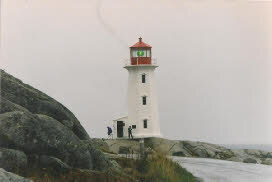 Popular tours include Peggy’s Cove, several Titanic-themed options, and visits to the Citadel. Walking tours and bus tours of Halifax (including hop-on-hop-off) are available via organized excursion or independent exploration. 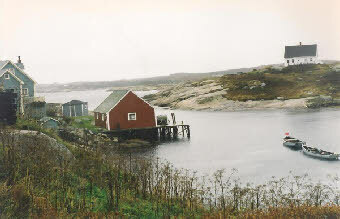 This small fishing village is located about an hour southwest of Halifax by coach. The ride is part of the charm, offering spectacular scenery as miles of forest give way to tiny coves and, finally, lichen-covered rocks and a rugged, moonlike landscape. The village itself is quite small, featuring a few gift shops, a restaurant, and a landmark lighthouse-turned-post-office. A walk through the town offers numerous photo opportunities. 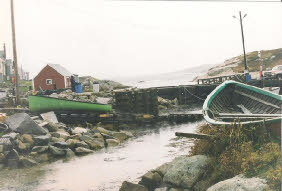 Some tours include a lobster lunch, while others combine a visit to Peggy’s Cove with one or more attractions within Halifax. I would recommend Peggy’s Cove for a first-time visitor to the north Atlantic coastline or to returning visitors who wish to venture further into the Province of Nova Scotia. 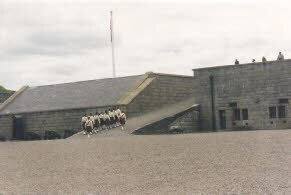 The Citadel is a fortification built atop a hill overlooking Halifax Harbour, and is the fourth to occupy this site since Halifax’s founding in 1749. 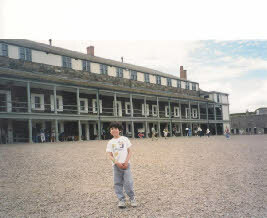 The present Citadel was built in 1856 to protect Halifax in the event of an attack by the United States. 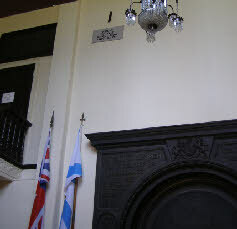 It was later used during World War II as barracks for Canadian troops prior to overseas deployment. 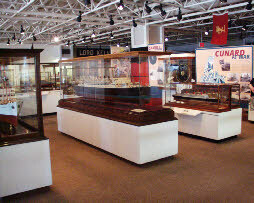 The Citadel was designated a National Historic Site in 1951, and today serves as a museum featuring the guard rooms, barracks, powder room, cannons, and models of the prior fortifications that occupied the site. 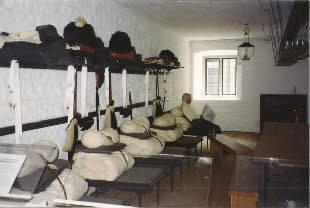 During the summer, the Citadel serves as a living museum, complete with the firing of the noon gun. History buffs will enjoy this visit. If traveling there independently, please note that it is not an easy walk—one must ascend a steep hill and several staircases to reach the entry. This happens to be my favorite Maritime Museum due to its wonderful exhibits on ocean liners, including the best Titanic exhibit I’ve seen. 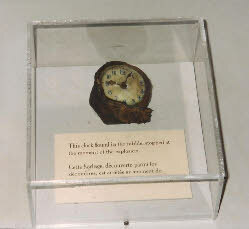 The latter includes an extensive collection artifacts salvaged from the ship, representing all three classes of service onboard. Menus, photographs, place settings, ornamental wood, and a deck chair are among the items that recount life onboard this famed luxury liner. 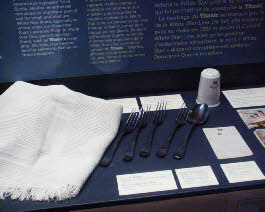 Halifax has a special connection to Titanic, as it was the closest major port to the sinking site, therefore serving as the center of recovery operations. 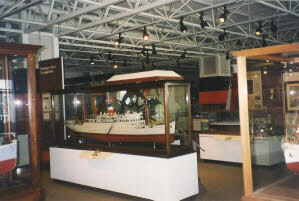 The Maritime Museum of the Atlantic is an easy 15-minute walk from the pier along the waterfront, and I highly recommend it to all visitors to Halifax who wish to learn about the history of this wonderful city. As noted above, Halifax played a significant role in the aftermath of the 1912 Titanic tragedy. 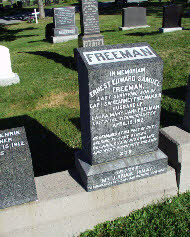 Fairview Cemetery is one of three burial sites for passengers who were not claimed by relatives. 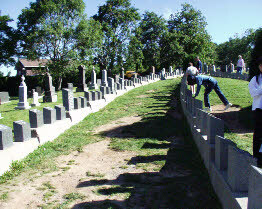 Approximately 120 Titanic passengers are buried here, marked by headstones that are laid out in several rows forming the shape of a ship's hull. 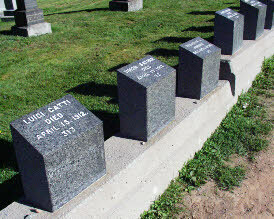 Numbers on the headstones correspond to numbers that were assigned to each passenger upon recovery. 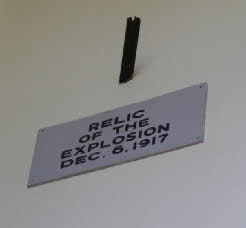 Most of the markers are plain, while others are more lavish, yet all have one common characteristic—all are marked with the date April 15, 1912. 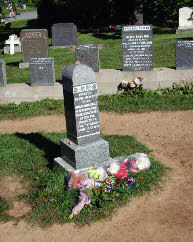 I visited Fairview Cemetery as part of an organized tour through the cruise line, although it can certainly be visited independently via taxi, as can the other two cemeteries—Mount Olivet and Baron de Hirsch (19 and 10 passengers, respectively). Yet, I strongly suggest visiting these sites with a guide—I learned a great deal, and I already had a strong knowledge of Titanic’s history. Our tour included a bus ride past recovery sites, churches where services were held, and other important sites, and was conducted by a retired history teacher. 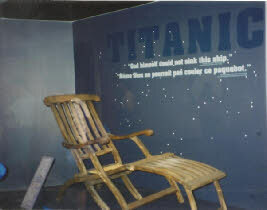 As sad as this visit was, I do recommend it for those who want to learn more about the true story of Titanic. It is very easy to find Pier 21—it is located adjacent to the cruise ship dock. 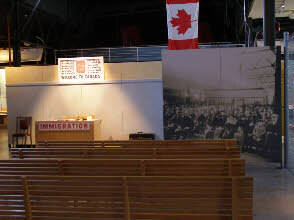 Now a National Historic Site, Pier 21 served as the point of entry for 1.25 million immigrants to Canada from 1928-1971. This "Ellis Island of Eastern Canada" now houses a museum of immigration, visitor center, and several shops and pushcart vendors. The Immigration Museum is a must-see, in my opinion, due to its important role in Canadian history. 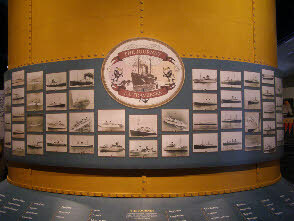 Numerous exhibits depict the immigrant experience, including arrival by ocean liner, customs, transfer to railroad, and a welcome to one’s new home. To get the most out of your visit, pick up a passport at the ticket booth and have it stamped at each of the seven stations comprising the journey. Also be certain to look at the exhibits devoted to war brides—the largest group of immigrants—and the videos in which people who once passed through these doors shared their stories of beginning life in a new country. The museum is explored at one’s own pace, and I suggest a minimum of one hour—although I do recommend a longer visit, if time permits. I am not a big shopper—my preference is to pick up a book or two in each port, or perhaps an item native to the region. For those who would like to shop, you may purchase general souvenirs on the ground level of Pier 21 (museum entry not required), or travel the boardwalk to the Halifax Historic Properties for greater variety. 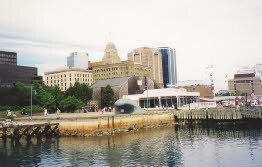 We’ve had lunch in town a few times—once within the Halifax Historic Properties, and another in the downtown area across the road from the Maritime Museum, where there are several restaurants and pubs. Average monthly rainfall during this period is approximately 4.0 inches. We encountered this so-called liquid sunshine on our first visit, and it did not stop us from returning. Halifax is one of those few cities that keep calling me back for a visit. Whether your passion is maritime history, military history, scenic touring, or just delighting in the view of a beautiful harbor, there are many activities from which to choose. The only downside is that Halifax is a seasonal port, although it does appear on most (but not all) Canada/New England cruise itineraries. 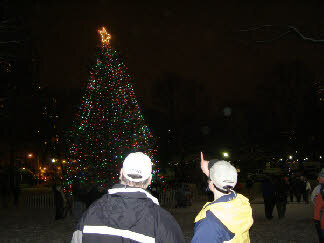 We hope you enjoy Halifax as much as we do!